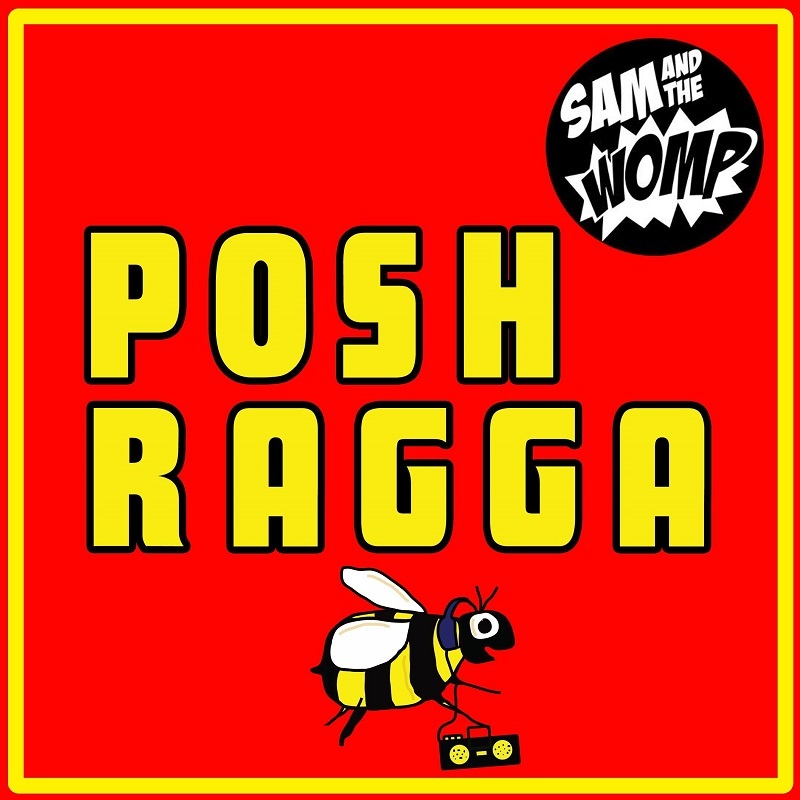 Home / brand new / MC Solomon / música / Sam and the Womp / Sam & The Womp Share New Visual for "Posh Ragga"
Sam & The Womp Share New Visual for "Posh Ragga"
Sam and The Womp have unveiled the cool lyric video for their infectious new single Posh Ragga. The song features long-term collaborator MC Solomon and has an infectious groove throughout the song, heightened by Ritchie’s trumpet hook-lines. Solomon chips in with a gritty rap vocal, contributing to a piece with a stunning live appeal. Watch the visuals for this festival anthem below! The Bee Sides EP is a collection of previously unreleased songs that we think compliment each other, characteristically rich with fat brass and heavy bass, with a Balkan-Dub flavour, showing off our musicianship and experimental side. With the digital age B Sides have become a dated idea, but with this EP we are bringing back the concept and opening up a debate! Their backgrounds in jazz and experimental songwriting is what fuels today’s desire to push the boundaries of music. Since university the duo of Bloom de Wilde and Sam Ritchie have been involved in experimental bands and events companies, showcasing the weird and the wonderful. It’s this love of the avant-garde, that led to the pair writing their biggest hit to date. Bom Bom was a track conceived in their dingy rehearsal room that took them all around the world and to the top of the U.K Charts. Since then, the duo have had another string of hit singles and took a well deserved bit of time-off. Bloom and Sam now have two kids, but have lost none of the hunger for live performance. Last year saw the band play a packed festival and touring schedule. Bloom even performed at last year’s Boomtown Fair festival while heavily pregnant. After a number of additional projects, constantly striving to feed their creative hunger, the band have returned with a collection of festival ready anthems in time for summer 2018.